25 September 1943: Keel laid by the Boston Navy Yard, Charlestown, Mass. 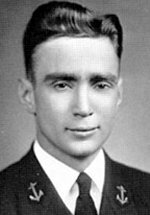 8k John James Powers was born in New York City on 03 July 1912 and graduated from the Naval Academy in 1935. After serving at sea for 5 years, he underwent flight training, reporting 21 January 1941 to Bombing Squadron 5, attached to the famed carrier Yorktown (CV 5). As the fleet moved to prevent further Japanese expansion in the Solomons on 1942, Powers took part in the important raid on Tulagi 04 May, flying without fighter cover to score two hits on Japanese ships. As the main Battle of the Coral Sea developed 07 May, Lt. Powers and his companions discovered carrier Shoho and, bombing at extremely low altitudes, sank her in 10 minutes. Next morning while the great carrier battle continued, he joined the attack on Shokaku, scoring an important bomb hit. His intrepid, low-bombing run, however, brought Powers into heavy antiaircraft fire; and his plane plunged into the sea. Lt. Powers was declared dead; but, for his indomitable spirit in this series of attacks, was awarded the Medal of Honor posthumously. According to the citation: "... completely disregarding the safety altitude and without fear or concern for his own safety, he courageously pressed home his attack, almost to the very deck of an enemy carrier and did not release his bomb until he was sure of a direct hit." 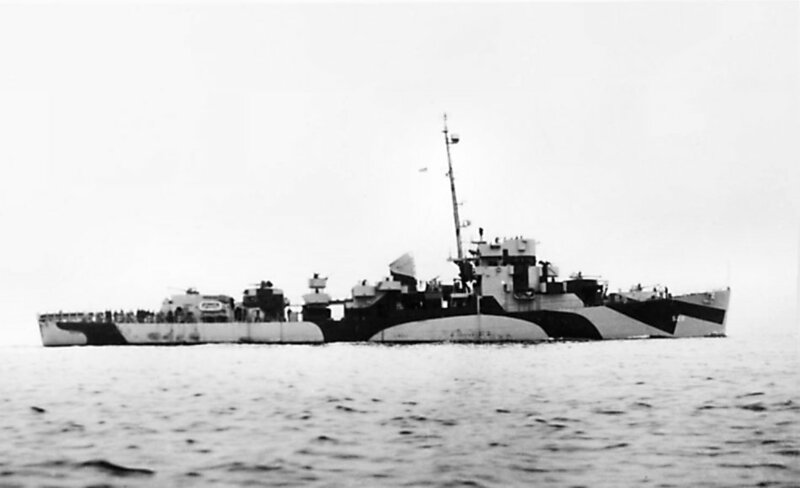 USS John J. 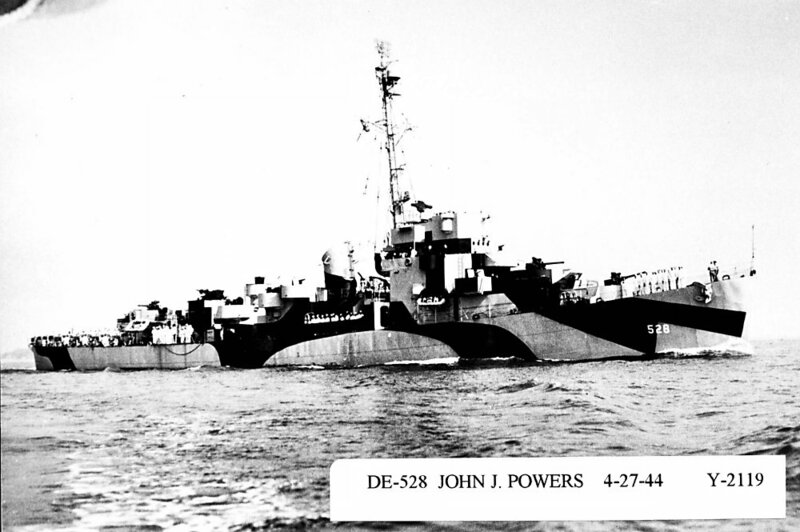 Powers (DE 528) was the first ship to be named in his honor. 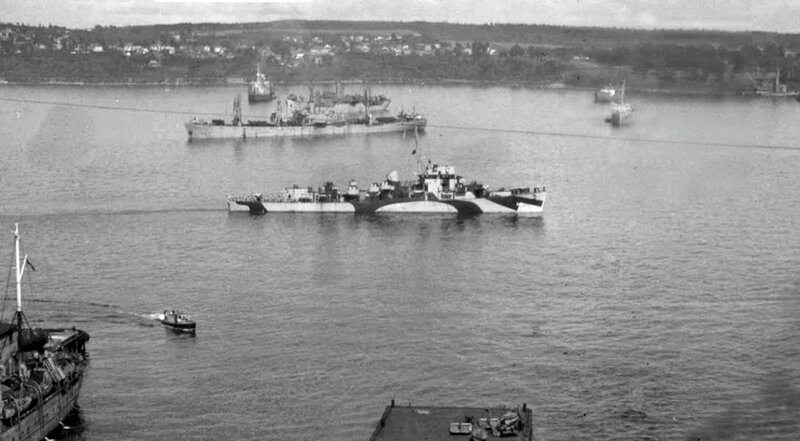 100k 1944: Halifax, Nova Scotia - USS John J. Powers underway departing Halifax harbor. View the USS John J. 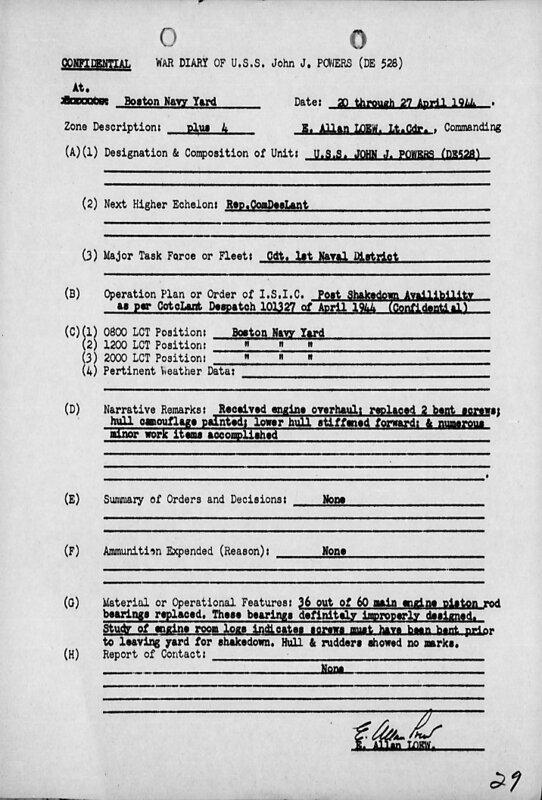 Powers (DE 528) DANFS history entry located on the Naval History and Heritage Command web site.